Where does the 'hsrd.yahoo.com' referrer come from? I did some searching to find out which Yahoo property this traffic was coming from. At first, I assumed that it was from mail.yahoo.com, but quickly eliminated that as mail referrers from Yahoo! were still coming in (e.g. us-msg6-mail.yahoo.com). After scrolling through a ton of guesses about hsrd.yahoo.com being a virus and ways to remove it, I came across this post from SEO Roundtable. 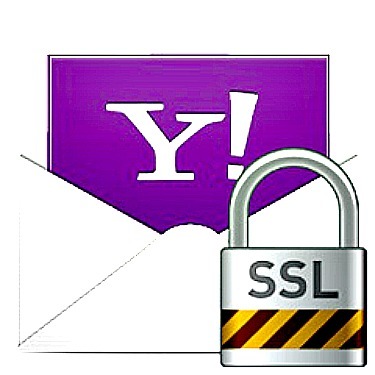 It seems that in early 2014, Yahoo switched over to SSL (Secure Socket Layer) across all their sites. Since then, content publishers and webmasters began to see huge increases in referrer traffic from hsrd.yahoo.com. The hsrd.yahoo.com referrer is similar to r.search.yahoo.com, which publishers will also see. It processes click actions for the home page. As part of our move to HTTPS secure search, referrer logs are now showing hsrd.yahoo.com when the source site was HTTPS-based. So, not it’s not a virus. It’s *probably* not Homeland Security… or maybe it is? Considering the content that was being redirected to my site, I can’t imagine any scenario how that would trigger an alert to Homeland Security. If you believe Yahoo, then it’s a good thing if you’re receiving a ton of traffic from this the hsrd referrer; it means some of your content may have made the Yahoo homepage. In any case, if it isn’t “Big Brother” and it’s Yahoo homepage traffic, they could do a better job of explaining exactly what “hsrd” means. Maybe Marissa Mayer is being bankrolled by the Obama administraion? JUICY!